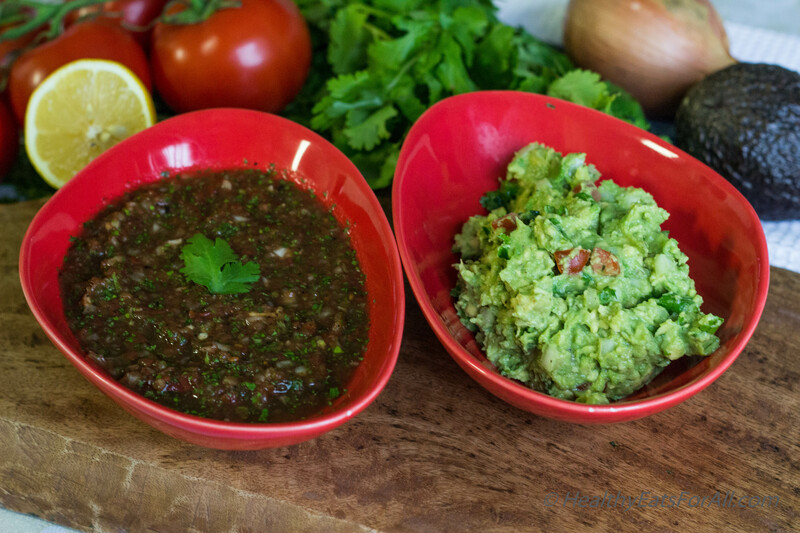 Salsa and Guacamole have become one of those ubiquitous condiments all around the world that can really uplift a meal or snack if made fresh with good quality ingredients. It can be the difference between a blah meal and something that really enhances it! Not only are they our favorite snacks to have with our evening tea, at parties and picnics, but mandatory when I make a Mexican meal. I would even say it’s at par with the salsa at restaurants! 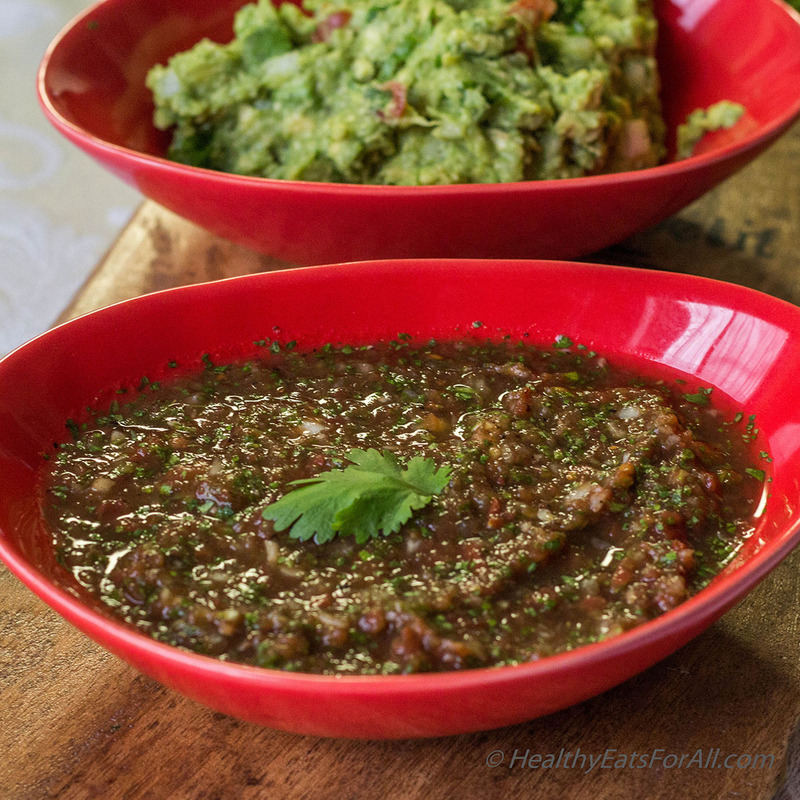 A while ago I came across this salsa recipe at Lauren’s Latest and it seemed very simple so I tried it. 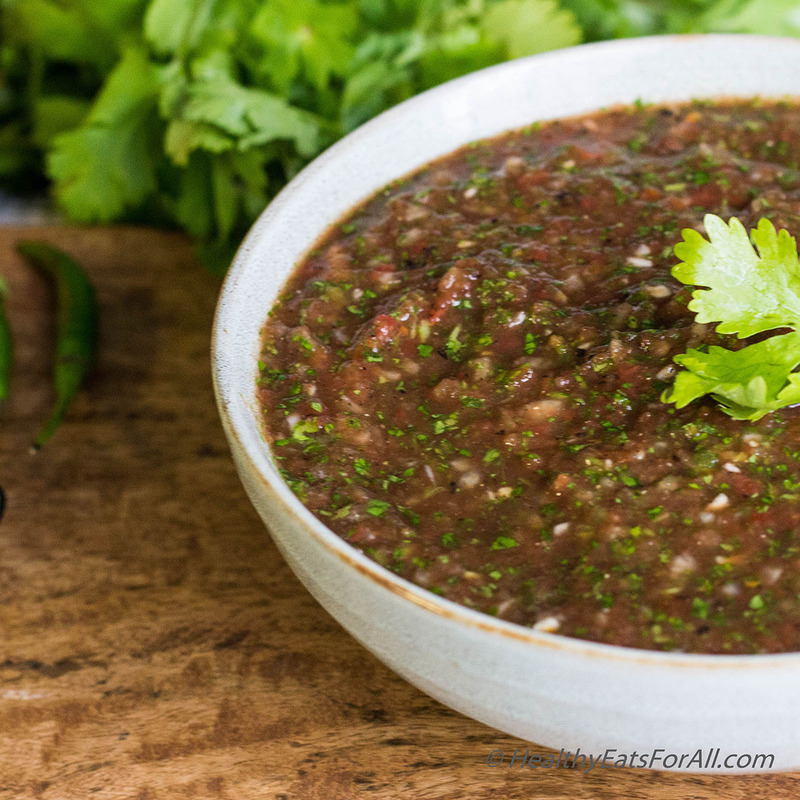 Ever since I started making this restaurant quality salsa I found that I rarely buy from salsa from the store. I have modified the recipe a tad bit. It literally just takes 5 minutes to make. I use the Organic canned fire roasted tomatoes for convenience. There is a lot of juice inside also which helps with its consistency. But I have made with fresh tomatoes also. Just make sure they are very juicy. 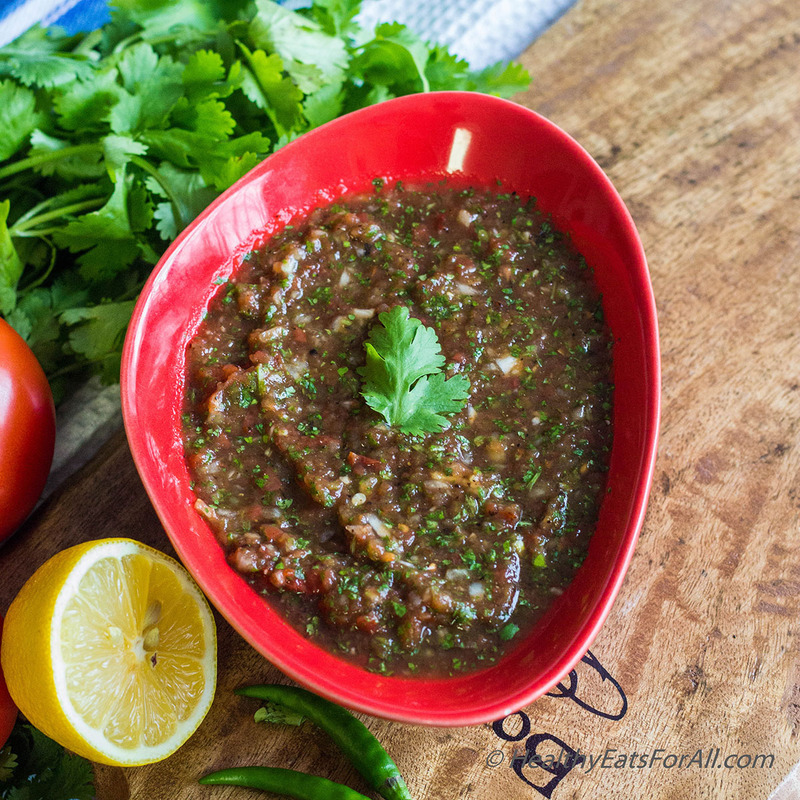 I prefer fire roasted tomato cans as that gives the salsa an added earthiness and depth. It is very light and healthy. There is no added sugar or fat in it. You can also tone down the spices according to your taste. We like it kinda spicy 🙂 Once made, it stays fresh in the fridge for up to a week or so, if it lasts that long! 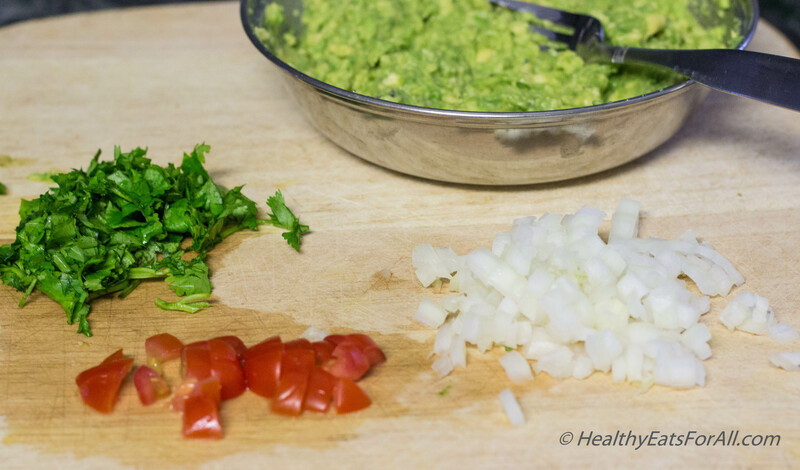 The Guacamole recipe is very simple too. 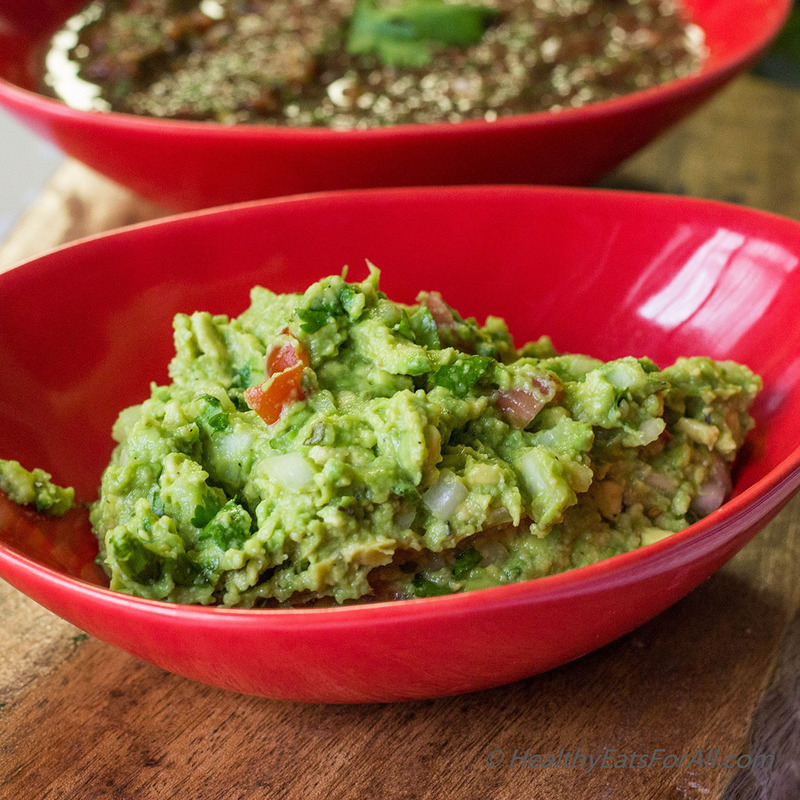 But the key to a good Guacamole is that it should be made right before eating and that the avocado should be ripe. In case you need to ripen an avocado really fast, the best way is to keep it with a banana in a paper bag and it hastens the avocado ripening process from 3-4 days to about a day or so. 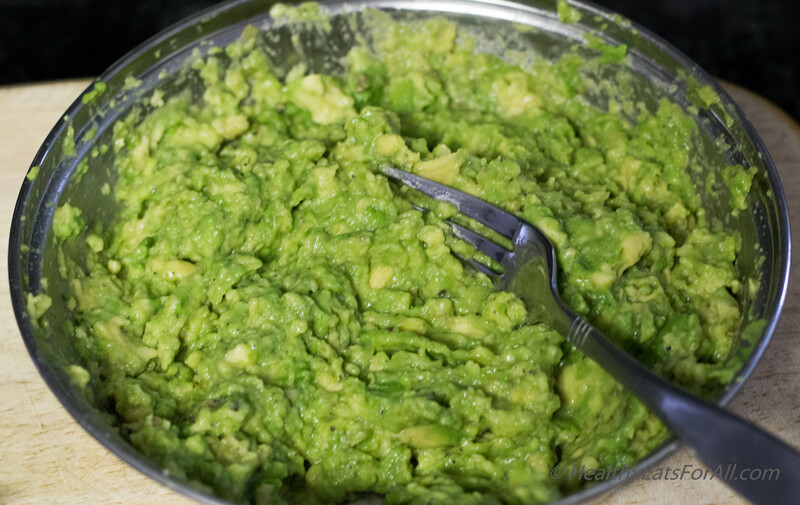 Storing guacamole can be tricky. Ideally you should consume it within an hour or so of making it otherwise it turns slightly brownish. So what I do is chop the rest of the ingredients and keep them ready but add the avocado just before eating. But if you have some leftovers then the best way to store is in an air tight container. Before closing the lid just sprinkle some water over it to cover its entire surface area. That should prevent it from turning brownish for about a day.The next day just drain that water and mix well. Try these recipes for your next party or dinner or tea and enjoy! Open the can of tomatoes and do not drain away the liquid. Pour the entire contents in food processor. Add the onion, garlic, cilantro, green chili, salt, black pepper, cumin and lemon juice. Pulse it for a few seconds till everything is minced. Taste test for seasonings. Add as needed. You can store it in the fridge for a week or so. Enjoy! Wash the avocado. Slice it down the middle. 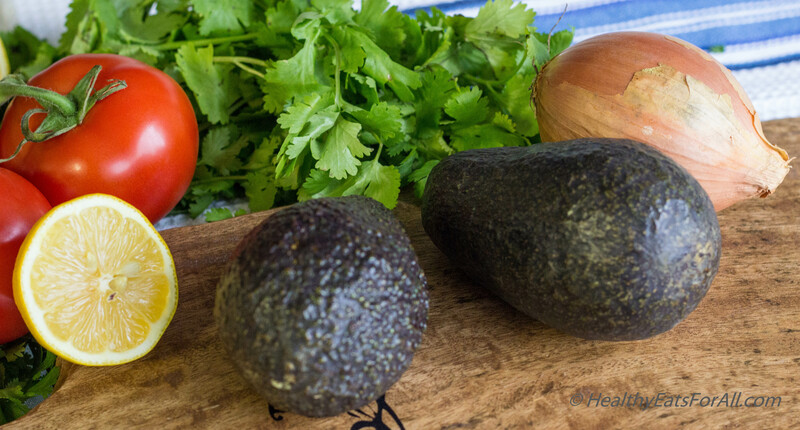 Remove the seed and finely dice the green pulp of the avocado. Add lemon juice right away and mash using a fork. Then add the onion, tomato, cilantro, salt, black pepper and oregano. Mix it for a few seconds. Taste test for seasonings. Add as needed. Enjoy!